This beautiful, custom built townhome has a coastal design with timeless appeal. 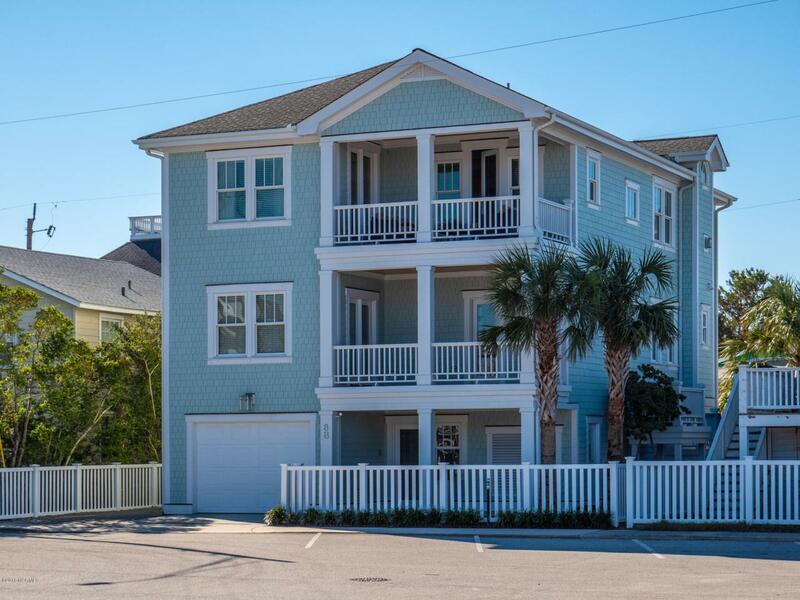 It is located in the heart of Wrightsville Beach, renowned for its beaches and quaint amenities. The property provides great views of both the Atlantic Ocean, nearby sound and marsh. The home exudes the best in design and quality construction; this property offers open living spaces, covered porches on each level and amenities for both comfort and convenience. This home has beautiful light oak hardwoods and plenty of natural light that flows throughout each room. The open concept kitchen is equipped with stainless steel appliances and the living area on the third floor has beautiful vistas, a half bath, a porch and excellent areas for entertaining guests.The second floor includes the master bedroom, two guest rooms, two bathrooms and a spacious porch. The property is beautifully landscaped and includes an enclosed outdoor shower and changing room. There is ample parking available that is just steps away from the beach, walking trails, local pubs and eateries. This home promises to provide all the pleasures of coastal living with great rental income potential. Listing provided courtesy of David B Benford of Landmark Sotheby's International Realty.